When you listen to ‘Oscillation’ for the first time, you’ll immediately notice something has changed. The music is still instantly recognizable as Navarone; the big, beefy hardrock riffs are still there and Merijn van Haren’s magnificent voice hasn’t lost any of its force, but in terms of production, ‘Oscillation’ is a whole different beast than its two predecessors. As a result, the separate songs sound a little more streamlined, but the scope and variation that made Navarone’s previous records so great are also still here. And so, this fresh record proves that a rock band can expand upon its style without sacrificing its excitement and energy. In a way, ‘Oscillation’ sounds a little more modern than what the quintet has done before. Navarone always found a nice balance between the relative complexity and riffiness of seventies rock and the directness of nineties rock. This time, some more contemporary influences have been brought to the table. The delightfully catchy ‘Soon I’ll Be Home’ has a very modern, poppy rock vibe, while opening track ‘Snake’ brings some of the stoner rock influences that were always beneath the surface front and center. The climax of the latter also sounds like nothing the band has ever done before, but it’s incredibly powerful. On a more superficial level, ‘Oscillation’ is a typical Navarone record in the way it moves back and forth between powerful rock tracks and strong ballads with remarkable ease. The former category has the awesome ‘Step By Step’, probably the most “typical” Navarone song on the record, and the relentlessly pounding ‘Lonely Nights’, which is likely the heaviest track the band has recorded yet. ‘Free Together’, ‘Unmistakably Everything’ and closing track ‘Don’t Belong’ are all beautiful, delicate ballads with more acoustic work than the band has yet used and a more interesting approach than the well-known calm verse, big chorus contrast, which truly enhances the songs. But most notable are the songs that don’t fit either category. The atmospheric ‘Chrome’ has an acoustic fundament, but is hardly a ballad. Progressive acoustic rock? Maybe. The song works its way through several distinctive movements that shouldn’t work together, but miraculously do. ‘Shadow’ is a little darker and has a psychedelic middle section somewhat reminiscent of ‘Sage’ from the debut album. However, the real winner here is the mindblowing ‘Days Of Yore’. From its monumental opening riff to Kees Lewiszong’s amazing blues solo, the song is a masterpiece that brings to mind Led Zeppelin’s ‘Tea For One’. The verses are very minimalistic, but serve as a perfect vehicle for Van Haren’s incredible voice. This is a song that needs to be heard to be believed. The cliché is that when rock bands mature, their sound becomes calmer and more interesting. ‘Oscillation’ proves that this doesn’t have to be the case. In fact, Navarone seems to have been exploring the extremes of their sound here, which makes the record heavier, more progressive, more melodic and more accessible all at the same time. It may need a little more time to sink in than the band’s previous two records, but once it does, you’ll realize that they have made another masterpiece. Their third in a row. And if that’s not impressive, I don’t know what is. First of all, I would like to apologize for the lack of an album of the week review last Sunday. I don’t want to make a habit out of it, but a medical emergency prevented me quite harshly from doing so. I would have made up for it a day later, but it all took a little longer than expected and by the time I did get home, it didn’t make much sense anymore. A song for a day did seem appropriate because I’ve never felt the words “it’s always good to be back home” so strong. Further explanation doesn’t strike me as necessary. Oh for those who wonder… The fact that this band is from the town where I spent the first ten years of my life isn’t relevant in this case! Due to the band members being busy with other projects, Firewind has been a little dormant the last couple of years, but luckily there is a new album. And not just any album, it’s the first metal highlight of 2017. Everything the relatively lackluster ‘Few Against Many’ was missing is here and then some. Maybe the songwriting collaboration with producer Dennis Ward was what Gus G needed or maybe replacing the great former singer Apollo Papathanasio with the downright exceptional Henning Basse is what the band was begging for, but whatever the case, ‘Immortals’ is an exuberant power metal record with some excellent musicianship to boot. Sometimes a band returns after a while and it just makes sense. ‘Immortals’ is one of those cases. It actually feels like a new chapter in Firewind’s history. Of course the addition of a new singer contributes to that, but there is a freshness to the compositions that greatly adds to the replay value of the album. The interaction between the musicians has a more spontaneous feel than on the last couple of Firewind records and the choruses have a sense of urgency that even their most catchy material didn’t have. Part of that is production, but if a song doesn’t allow for a big chorus, you can’t fabricate it. ‘Hands Of Time’ surfaced a couple of months ago and actually works very well as a mission statement for ‘Immortals’. There’s no long intros, it just blasts straight into full speed in all its melodic, triumphant glory. Henning Basse’s voice is rawer than in his early Metalium days, but fits this brand of power metal extremely well. He handles the calmer work like the lone ballad ‘Lady Of 1000 Sorrows’ equally well as the heavier, more aggressive stuff like ‘Back On The Throne’. On the former, Basse has a distinct early Sebastian Bach vibe to his voice, while the latter is possibly the most thrashy song Firewind has ever done. ‘Immortals’ is a concept album about the Battle of Thermopylae and though I think Greek history themes are overdone in metal, Firewind does get the benefit of the doubt because three of their members are actually Greek. It hardly ever interferes with the music anyway, except for maybe the overlong spoken intro to what is furthermore the album’s highlight: the strong heavy metal stomper ‘Ode To Leonidas’. Other highlights include the powerful closer ‘Rise From The Ashes’, the beautifully epic ‘Live And Die By The Sword’ and the forceful ‘We Defy’. 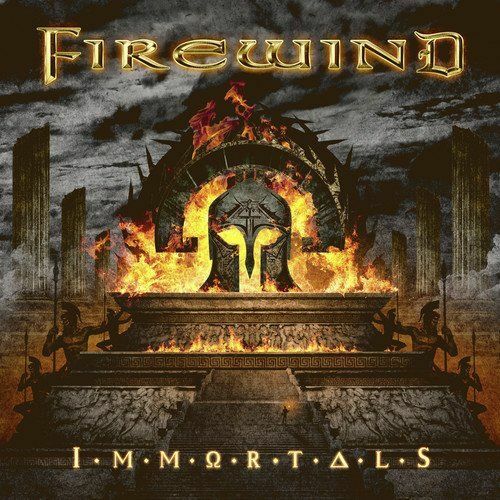 Firewind is back and that’s a really good thing. In a time when European power metal seems a bit samey, ‘Immortal’ sounds like an album written with the carefree attitude of a youngster and ends up sounding like a combination of the best elements of traditional and contemporary power metal. The result is surprisingly dynamic and simply a very pleasant listen. And take it from someone who has listened to it a lot: it gets better over repeated listens. Let’s just hope that this will just be the beginning of a great year for power metal. Sometimes bands are so short of the attention they deserve, that they even surprise me pleasantly when I come across them in my own collection. 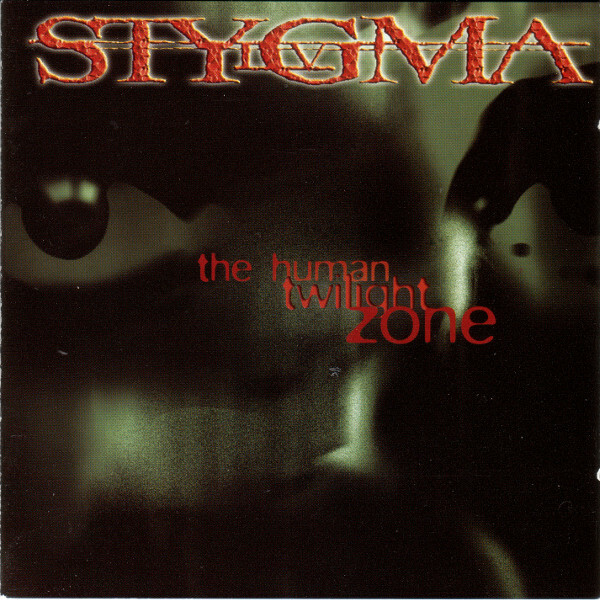 Because really, Stygma IV’s brand of dark, somewhat progressive power metal is nothing short of excellent. And yet, they’re not exactly a household name. Maybe it’s the fact their native Austria didn’t have the infrastructure for metal that their German neigbors had or simply that they were forced to change their name multiple times throughout their early career. ‘The Human Twilight Zone’ is a true grower: it slowly reveals its dark secrets over multiple listens. It certainly isn’t the musicianship. Günter Maier is an accomplished guitarist with an audible background in progressive metal, but without all the neoclassical clichés of all of his contemporaries, while Alex Hilzensauer is a true bass virtuoso, but wisely chooses to only show that in small, digestible doses. Ritchie Krenmaier’s voice often strongly enhances the atmosphere of oppression or psychological illness in the lyrics; his expressive voice is clean, but with a distinct raw edge and sounds like a lower pitched version of Metal Church’s Mike Howe. Herb Greisberger stands out because in an era of rapid footwork, he chooses for interesting tom and snare drum patterns instead. The centerpiece of ‘The Human Twilight Zone’ is the 16 minute epic ‘Sleep’, which never actually feels as long as it does. You can hear the song going through multiple movements of varying degrees of intensity. Again: the composition is marvellous, but it’s Krenmaier who really enhances the intensity. It’s hardly the only highlight on the album though. It’s preceded by ‘The Void’, a slow, ridiculously heavy song with massive guitar riffs. The title track starts off sounding like the band is trying to attempt something more melodic, but turns out to be another typical Stygma IV song: dark, atmospheric and really heavy. Excellent fretless work by Hilzensauer as well. Luckily, there is enough variation to warrant the album’s 70 minute run. ‘My Failure Reveals’ has a somewhat lighter, more traditional heavy metal feel, though I wouldn’t exactly call it upbeat. This is also one of the songs where Maier’s leads, while very well structured, have an almost improvised feel, which is quite rare in the genre. ‘Scars’ also has a more traditional feel, albeit in a more proggy manner. ‘Why’ and closing track ‘The Way To Light’ are the ballads of the album, but they retain the dark vibe of the rest of the album, which – together with Krenmaier’s spirited performance – makes a true highlight out of the former. Unfortunately however, Greisberger contracted a back injury some time ago, resulting in the band calling it a day. Maier and Hilzensauer went on to form the very similarly styled Crimson Cult, which is also very worthy of your time, but ‘The Human Twilight Zone’ is one of those instances where all the parts are in the right place. Had they toured with Nevermore or Savatage at the time – both of which are similar to the band in style, but not in sound – they could have made it a little bigger. Because this material truly deserves that. No album of the week this week, because new year’s day is coincidentally on a Sunday. Also, I suspect you might be tired of my ramblings after reading all of this. When talking about 2016 in music, people tend to focus too much on the popular musicians that have died and as a result, call it a bad year. And sure, I have been a big fan of Prince for ages, but let’s keep in mind that most of the great musicians from the sixties, seventies and eighties aren’t getting any younger, so there’s a chance worse years are ahead in that matter. When focusing on the actual music that has been released, I would say 2016 has been the year of heavily overrated western releases. Metallica released a record with a couple of good songs and one great one (‘Spit Out The Bone’, while two minutes too long, is amazing), Beyoncé’s ‘Lemonade’ is definitely not better than ‘I Am… Sasha Fierce’ and I feel that a lot of records by deceased musicians have done better simply because of their deaths. There will be one of those in the list though. With all this in mind, you probably won’t be surprised that my number one is not from Europe or North America and still very much alive. 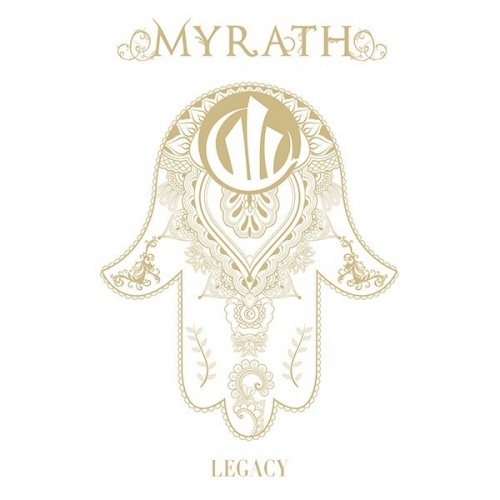 With ‘Legacy’, the English translation of their band name, Myrath is finally showing its full potential, which in all honesty I thought they were already showing on ‘Tales Of The Sands’ five years earlier. The basic progressive power metal sound of their previous albums is still there, as are the beautiful string arrangements that are heavily inspired by the mal’uf music of ther native Tunisia, but the songs are more streamlined and melodic Zaher Zorgati’s voice -which was already amazing – has made tremendous progress. Every song has a strong identity of its own and yet, the record has a very nice flow. That sounds like everything about the album is very close to perfect and honestly, that describes my feelingsa bout this one perfectly; ‘Legacy’ is a masterpiece of fine songwriting and excellent musicianship and therefore, my album of the year. 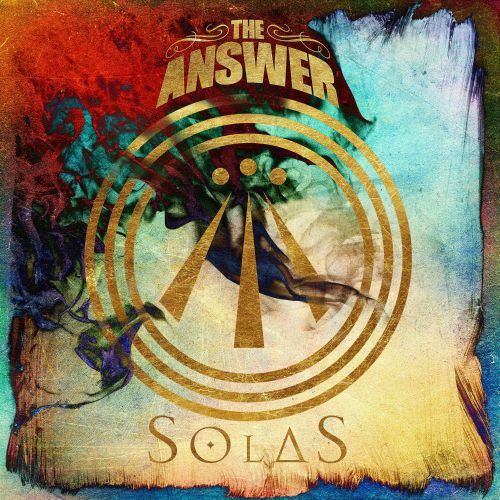 After their amazing ‘Revival’ album in 2011, I sort of lost track of The Answer. The following albums were good, but missing the magic of ‘Revival’. The Northern Irish band must have realized that as well, because they have radically changed direction on this monumental record. The bigger emphasis on the band’s Celtic roots is often highlighted in reviews and while that is true, the albums as a whole is an exciting, atmospheric rock record with very diverse influences. Interestingly, it takes until the eighth track ‘Left Me Standing’ until you get something resmbling a “typical” The Answer song. The Led Zeppelin influence is still there, but think ‘Houses Of The Holy’ and ‘Physical Graffiti’ instead of the first two records this time around. The band has seriously outdone itself on this record and every fan of good rock music should have this one in his collection. Vicious as ever? No. More vicious than ever! Honestly, I don’t know where the members of Gargoyle – the youngest of which is in his mid-forties – get this unbridled, hungry energy from, but it has resulted in yet another mindblowing record – their third in this decade alone. It does seem like they’re exploring the extremes of their sound more and more; the hyper-aggressive thrash metal riffing starts this album with what is probably the most intense succession of five tracks ever on a Gargoyle record, but Kentaro’s classy guitar melodies – often dual harmonies – give the band a classic heavy metal or even power metal edge. Of course, with this being Gargoyle, there’s some crazy experimentation going on during the second half of the record, but it all stays pretty heavy. Gargoyle is about to hit their 30th anniversary this year and it sounds like there’s no slowing them down. Though released as a Tower Records exclusive in late 2015, Saber Tiger’s new record was released publicly this year and it’s almost as good as their recent masterpiece ‘Decisive’. Their perfect blend of classic heavy metal melodicism and contemporary progressive influences makes them more relevant than ever and that in itself is an impressive feat for a band that’s been around since the early eighties. The direction on ‘Bystander Effect’ is slightly more melodic than on the previous record and that makes the songs highly memorable. But fear not: all the rhythmic intensity and guitar solo euphoria is still there and Takenori Shimoyama’s raw, passionate vocal work is the icing on the cake. ‘Bystander Effect’ is proof that dwelling on nostalgia isn’t necessary as an eighties metal band; if your songwriting and musicianship is as good as it is here, there’s no need to do so. 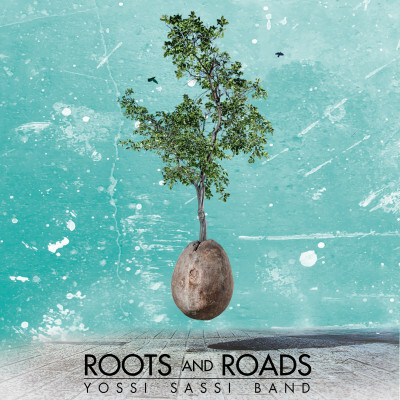 Since Yossi Sassi left Orphaned Land, he suddenly could use his heavy material alongside his more world fusion oriented stuff in his own solo band. As a result, ‘Roots And Roads’ is heavier and contains more lead vocals than the two albums that preceded it. That doesn’t mean Sassi has gone full oriental metal on this album though. In fact, it just means that his brand of world fusion – the term he has chosen himself is oriental rock – has gotten broader. And that’s really what Sassi’s music is about: exploring different styles from different regions and simply denying the fact that boundaries exist. In the hands of more pretentious musicians, the result could have become an incoherent mess, but as good as Sassi is on any of the struing instruments he plays here, he is a songwriter first and foremost. This makes ‘Roots And Roads’ both musically interesting and highly listenable. Esperanza Spalding is a musician I had been following for a while, because she is a brilliant bassist and she always seemed to have interesting ideas on how to fuse jazz with somewhat more contemporary music. 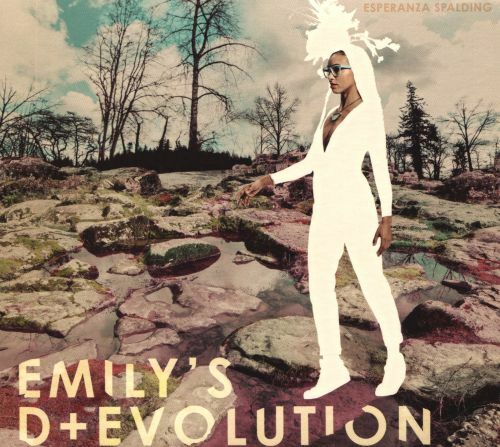 However, nothing could have prepared me for ‘Emily’s D+Evolution’. A fusion masterpiece if there ever was one. But if that gives you the impression that this record is full of self-indulgent soling, think again. The album is full of unconventional, but also concise and memorable songs. Spalding’s vocal performance is her best yet and Matthew Stevens’ “what if Hendrix played in a jazz band” approach gives the album something irresistible for me. The strong and rhythmically dense, but swinging interplay between the surprisingly limited number of musicians is simply excellent. Also, the part jazz concert, part performance art performance of this album at North Sea Jazz is probably the best concert I’ve seen this year. From a surprisingly limited number of musicians to a huge amount of them. Epica was never devoid of bombastic arrangements, but ‘The Holographic Principle’ sounds simply huge and somehow, that hasn’t occurred at the cost of the band’s heaviness. In fact, I don’t think my attention was ever drawn towards Epica’s riffing as much as I was here. I would almost say that the riffs are even more memorable than the choruses. And that’s why the album is a bigger masterpiece than I expected it to be. I love symphonic metal, but often, it’s too much of either to be very interesting. 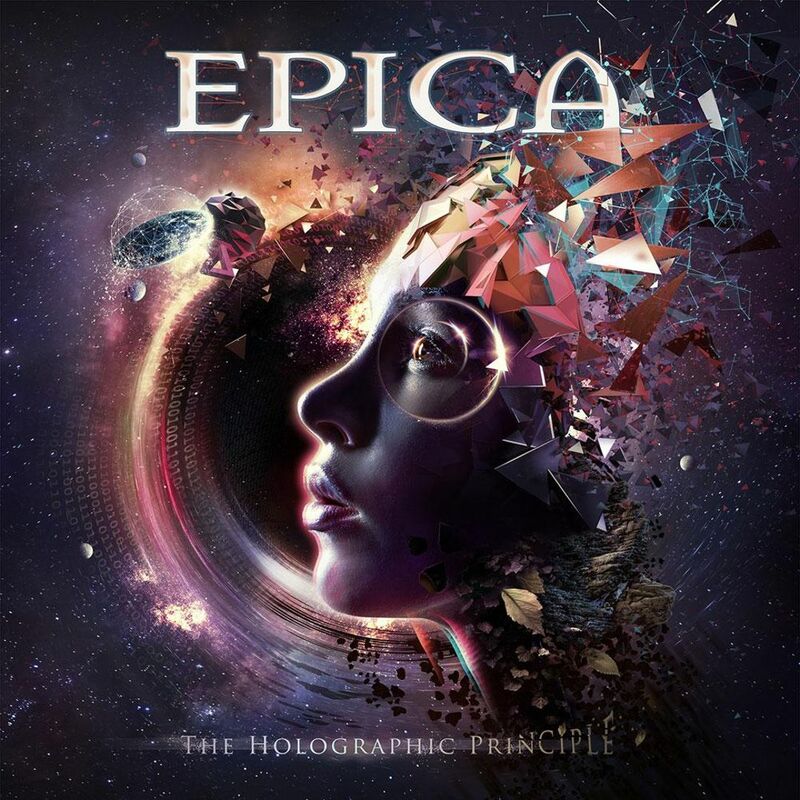 ‘The Holographic Principle’ manages to be Epica’s most symphonic and most metal record thus far and it just works. It doesn’t fight each other, it complements each other. And for that, they deserve all the praise they can get. Due to a couple of big interviews, this is one of the albums I’ve had to listen to most all year, but I can’t say it’s been an ordeal in any way. 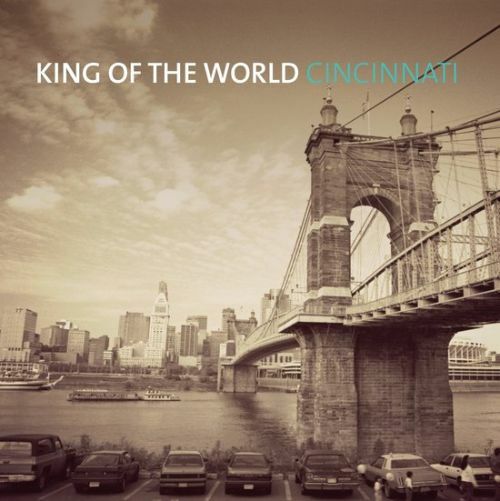 Just when I thought that it’s been a while since the last King Of The World album, the press release of ‘Cincinatti’ reached me. What makes this band stand out from the rest of the blues scene is that they’re not just excellent musicians, they’re amazing songwriters as well. And that’s why their records have a deal of variation and memorability that’s quite uncommon in the scene. ‘Cincinatti’ is no exception. In fact, adding horns to the mix makes the album the next step in the evolution of King Of The World. I’d like to give a special mention to the amazing ‘World On Fire’, which doesn’t really sound like anything the band has ever done before, but still feels trusted. Still labelled a supergroup due to the band members’ previous involvement in some prestigious acts, King Of The World has proven these last few years that they are much, much more than just the sum of their parts. Gackt is probably the biggest rock star in Japan and although I’ve always appreciated him as a singer and songwriter, ‘Last Moon’ is probably the first of his records that I can listen to start to finish. Most importantly because he’s largely let go of his bombastic intro-soft verse-big chorus approach, which really got on my nerves after a while. Ironically, his diminished focus on those dynamics has made ‘Last Moon’ his most dynamic set of songs thus far. In addition, ‘Last Moon’ is still a highly polished product, as we’ve come to expect from Gackt, but it feels more organic and that’s largely due to his interaction with his fantastic backing band. One could wonder if it was a good decision to close the album with two ballads, but since they’re both excellent, I’ll give Gackt the benefit of the doubt. Possibly the best J-rock album released since Luna Sea’s last album. Insomnium’s typically Finnish blend of melodic death metal and doom metal was something I always sort of liked, but lost track of due to my fading lack of interest in extreme metal. The idea of a one-track forty minute album did sort of attract my interest and I don’t regret checking it out. The lyrics tell the story of a group of vikings’ travel to an Irish island in a particularly severe winter and like any good concept album, the atmosphere of the music changes along what happens in the story. This makes ‘Winter’s Gate’ quite an immersive experience and also the most dynamic thing that Insomnium has recorded thus far. What makes this record so good is that no single element within the music overpowers the overall picture, though I do think that the lead guitars and the subtle keyboards work wonders for the atmosphere. ‘Winter’s Gate’ was a surprising highlight of 2016 for me. ‘Better Than Home’ was a good record, but a little too subdued for my taste. 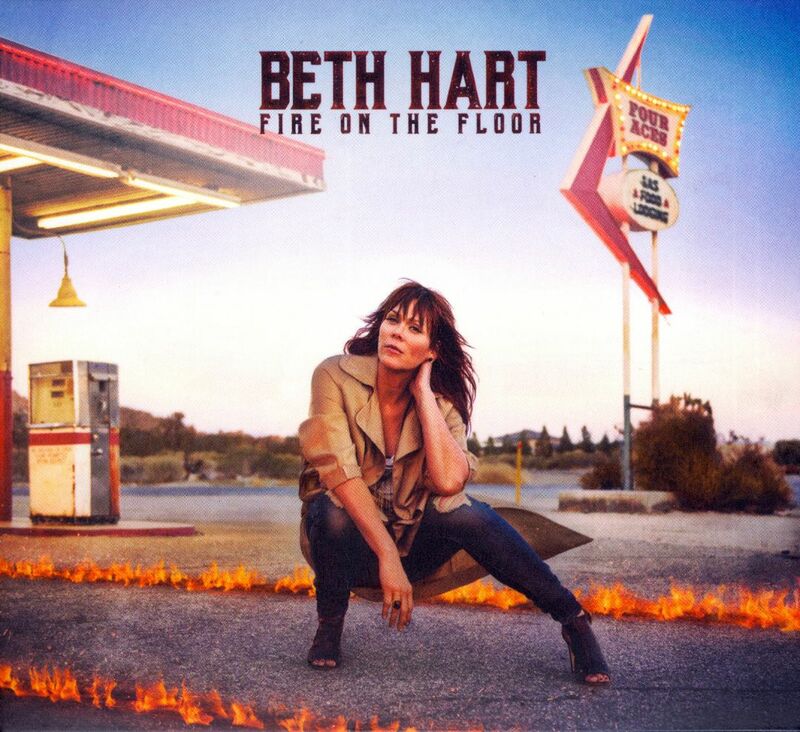 ‘Fire On The Floor’ luckily shows Beth Hart exploring all of her registers again, both musically and vocally. Honestly, Beth Hart is the best female rock singer alive today, so it would be a waste of her talent not to hear her rock out a little. She also puts many a blues man to shame with her slow blues performances and started experimenting with some show jazz-like tendencies remarkably successfully in recent years. All of this and much more can be heard on ‘Fire On The Floor’. In addition, Hart’s backing band for the sessions consists of giants like Michael Landau, Rick Marotta, Waddy Wachtel, Dean Parks and Ivan Neville. Again, I’m not sure if closing the record with three ballads was the right decision, which is also why I think it falls just a tiny bit short of the incredible ‘Bang Bang Boom Boom’, but it’s a great album nonetheless. 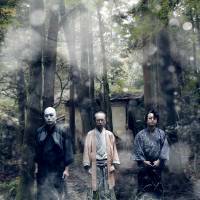 Although Ningen Isu has been recording some fine material on the intersection where doom metal, psychedelic rock and progressive hardrock come together for the last thirty years, they just keep on getting better. 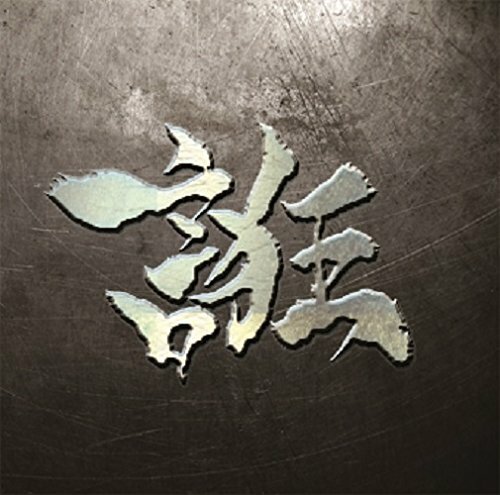 For me, the increasing heaviness – quite clearly influenced by Black Sabbath and Budgie – has given their recent material a consistency that earlier material lacked and therefore, their brand new ‘Kaidan Shoshite Shi To Eros’ turned out to be their best album yet. The heavy, Sabbath-ish riffing is front and center here, but there’s sparse folky elements, strange chants and other stylistic detours that still make the material unmistakably Ningen Isu. And despite this weird combination of styles, the album has a very pleasant flow. It shouldn’t work, but it does. Exploring Ningen Isu’s discography may be a bit intimidating because of all the Japanese titles, but it’s a very rewarding quest as well. The acronym in the title is a little more crude than their subtle and intelligent music warrants, but luckily that’s the only problem I have with Marillion’s new album. Musically, it’s easily their best record since ‘Marbles’ twelve years prior. It shows the band all over the place: from folky to abstract and from highly accessible to almost impenetrably progressive. 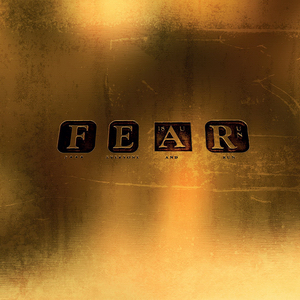 Because, in deed, after a decade of getting closer and closer to alternative rock – almost dangerously so at times – Marillion is first and foremost a progressive rock band on ‘F.E.A.R.’. It’s a 21st century take on the genre, but it’s highly progressive nonetheless. The band’s greatest assets – Steve Hogarth’s expressive vocals and Steve Rothery’s sparse, highly tasteful lead guitar work – are in full effect here and with three long, dynamic suites, there’s a lot to immerse yourself in here. Despite still not being particularly old, the three members of DeWolff have overcome the stigma of being “those three very young kids” in their early career remarkable well. Continuing to reinvent themselves musically has contributed to that as well. Where they sounded like British bands on their debut – Deep Purple and Pink Floyd quite prominently – their sound has gradually become more American, whilst still always sounding like DeWolff. 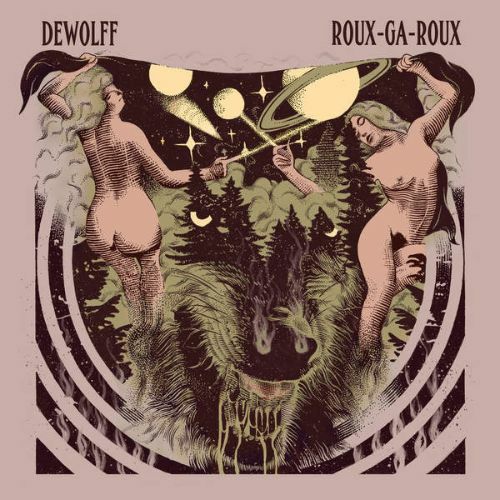 On ‘Roux-Ga-Roux’, there is a strong New Orleans influence, if the title didn’t make that clear yet. The bigger emphasis on groove has considerably improved the band’s sound and while there are still a few inspired, semi-psychedelic jams, the more concise songwriting gives the record a somewhat more timeless edge, in addition to making it a very pleasant for those who aren’t as familiar with exercises in psychedelia. I’m very curious to see what they’ll do next. Out of the whole retro thrash scene, Vektor was always one of the very few bands that could offer more than just nostalgia. They’ve always been labelled Voivod clones because of their sci-fi themes and use of dissonant chords, but that’s really where the comparison stops. Vektor plays hyperspeed progressive thrash metal that often borders on extreme metal, not in the last place due to David DiSanto’s screeching vocals. ‘Terminal Redux’ ups the ante in terms of the progressive side of the band, because almost all of the songs are very long, but because a lot happens within them, you’ll hardly notice. But no matter how intricate or complex it gets, Vektor seems to prioritize proper headbanging over a display of their dazzling capabilities. ‘Collapse’ isn’t just the Pink Floyd-ish highlight of the record, but also what happened to their line-up last week. DiSanto promised there’ll be more of this though. Believe it or not, but this release was already planned before the completely unexpected death of Prince. In fact, members of his fan club already had this release for a while. 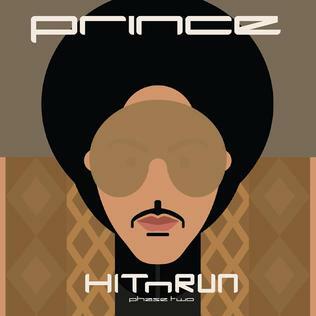 The first “phase” was released about half a year earlier and a little too electronic for me, but this is Prince as I like him best. It may not be very remarkable in terms of songwriting – despite the baroque ‘Baltimore’ being the best pop song of the year – but these are highly organic jams where Prince and his band audibly feed off each other and basically just let the music be what it wants to be. That results in a handful of jazzy pop tracks and light, shimmering funk grooves. Sometimes surprisingly bare bones, at other times lushly arranged. It probably wouldn’t have sold as much as it did if Prince hadn’t died about two weeks prior, but this is one of the cases where it definitely should have. 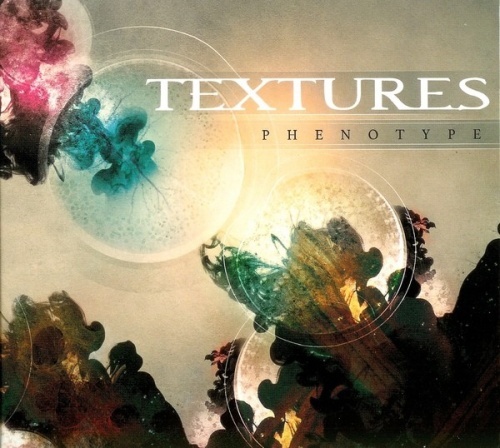 Textures has a great reputation worldwide because of their contribution to the genre that is apparently now known as djent. They have always been able to write a good song or two (or nine, in this case) though and having a downright amazing vocalist may have made that particular job a little easier. Seriously, I thought Daniël de Jongh got the job down admirably on ‘Dualism’, but hearing him on a track like ‘New Horizons’ really shows how good he is in many different registers. The balance between heavy, choppy riffs and beautiful, atmospheric sections is better than ever on ‘Phenotype’ and the production of former guitarist Jochem Jacobs is remarkably organic for a contemporary heavy band. It’s surprising how a band can make such a refreshing album by simply improving upon what they have always done, but ‘Phenotype’ is one of such cases. I’m very curious to hear ‘Genotype’, the second part of this diptych. Working for a guitar mag, you can probably imagine that the news of Carlos Santana reuiniting with Neal Schon and most of the other musicians that played on his untitled third album creates quite a stir. Luckily, the music backed up the hype. 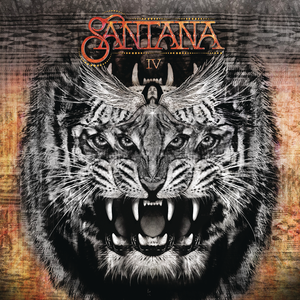 Most of ‘IV’ displays the almost reckless blend of psychedelic rock, blues and latin that the original Santana band was known for and seems to have evolved from jam sessions. Especially the instrumental tracks have spontaneity to them that isn’t very common on mainstream rock albums anymore. The only complaint I have about the album is that the clean, modern production is a little too glossy for some of the material, but luckily, not so much that it ruins your listening pleasure. With Schon and Santana jamming together, there’s enough spectacular guitar work for the magazine, but if you’re more of a rhythm junky, there’s more than enough to enjoy for you here as well. Highly anticipated for me, because I consider its predecessor ‘Bloody Palace’ a near-masterpiece. 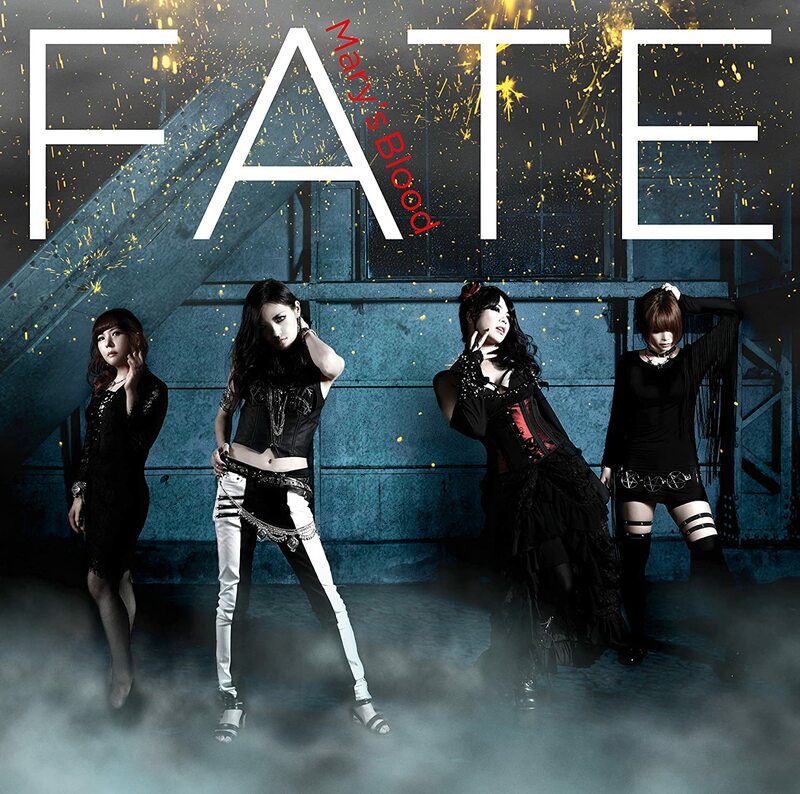 It doesn’t quite reach that level, but ‘Fate’ is once again a strong heavy metal, bordeline power metal record. Saki’s stellar guitar work will always be a point of interest for people who are into Mary’s Blood, but what really set this collective apart from all the other all-female bands that are currently conquering Japan – apart from their music having more power than many of their contemporaries, male or female – is the powerful, slightly raw voice of Eye. She is once again in excellent shape here. Some of the more experimental moments on the album are a subject of debate, but the record is full of driving rhythms, energetic riff work, catchy melodies and of course amazing vocals. There’s only so much hype a band can create; I strongly believe Mary’s Blood has a bright future due to having the musical value to back it up. Another one-track album. This time a 33 minute one with lyrics about the rise and the ultimate destruction of the House of Wisdom in Baghdad. Gorguts has taken that story and accompanied it with their trade-mark avant-garde death metal sound. While that style normally isn’t for me, Luc Lemay’s compositions full of guitar and bass lines that crawl and circle around each other have always intrigued me. This time, it’s no different. Even in the very subdued, tranquil and abstract middle section, there’s this tension that keeps me hanging on to the song. Very skillfully crafted and very powerfully performed. The production is surprisingly good as well; Patrice Hamelin’s drums actually sound like drums instead of computerized signals and it isn’t quite as “all loud all the time” as many modern death metal albums are. A very interesting piece of art with an interesting narrative to boot.